Take the hassle out of cord management with damage-free hanging. Cord clips discreetly manage cords with clips so clear they disappear. Use the included Command Adhesive Strips to apply and relocate the clips. Clear strips hold strongly and remove cleanly. 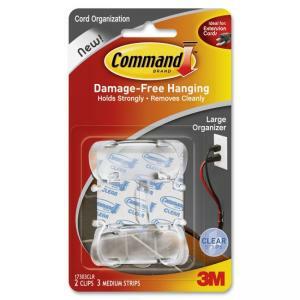 Cord organization set includes two large clips and three adhesive strips.